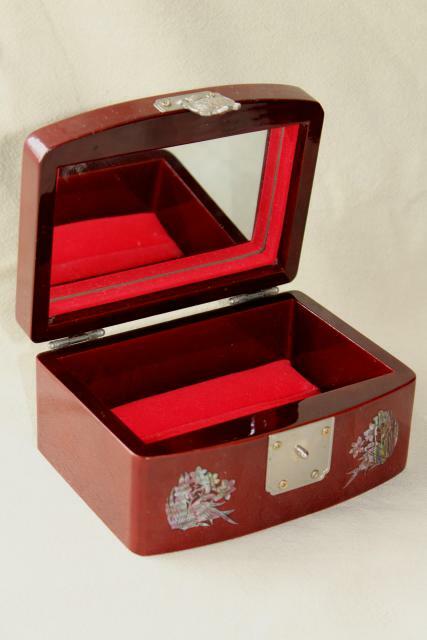 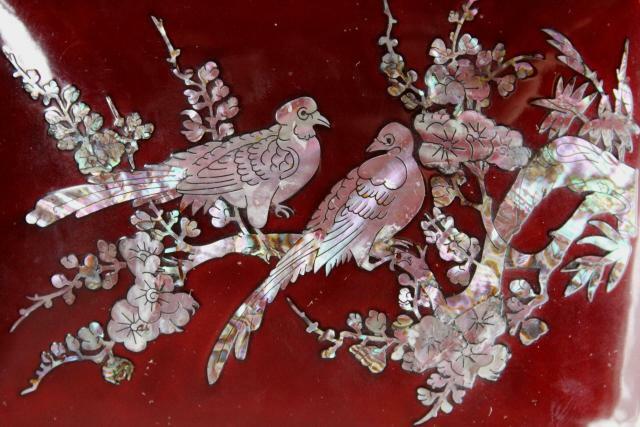 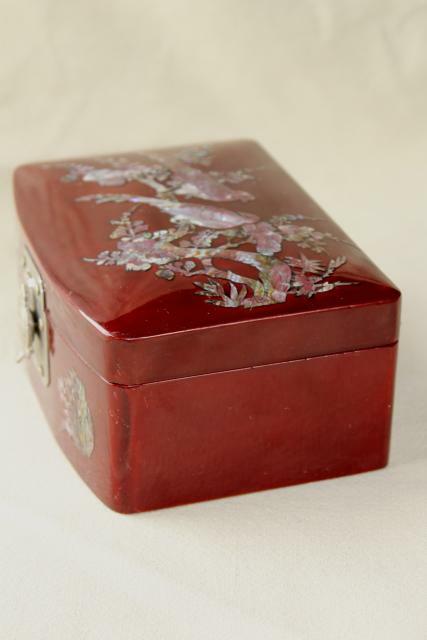 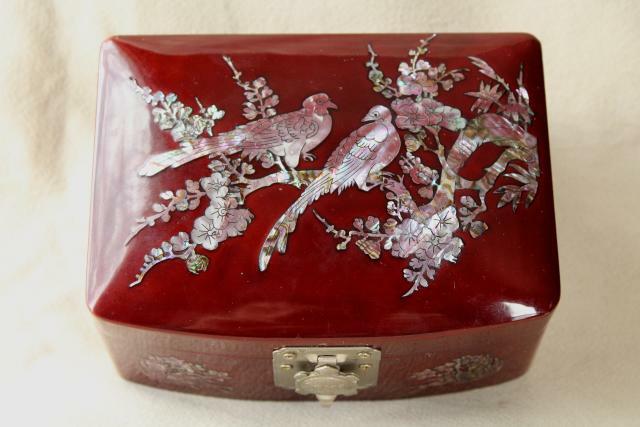 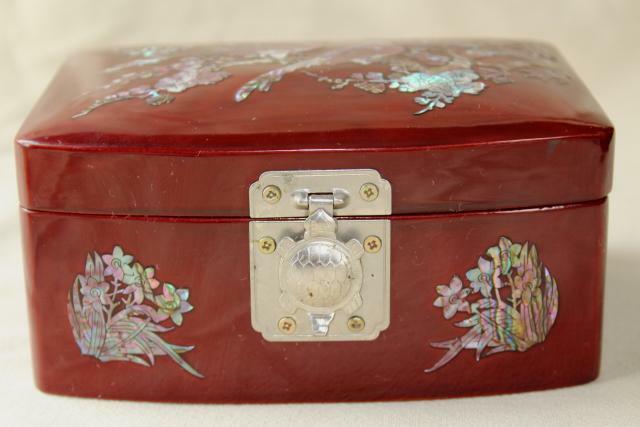 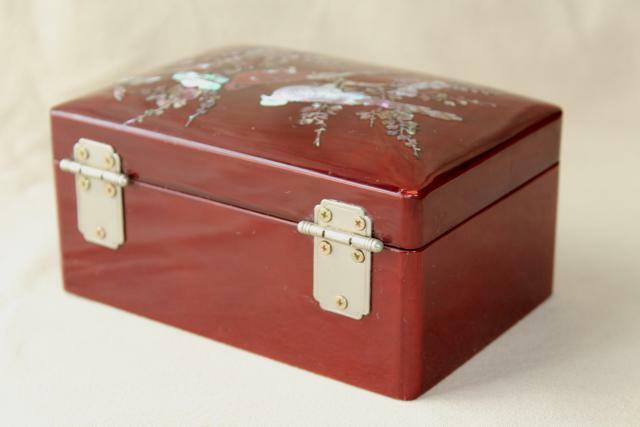 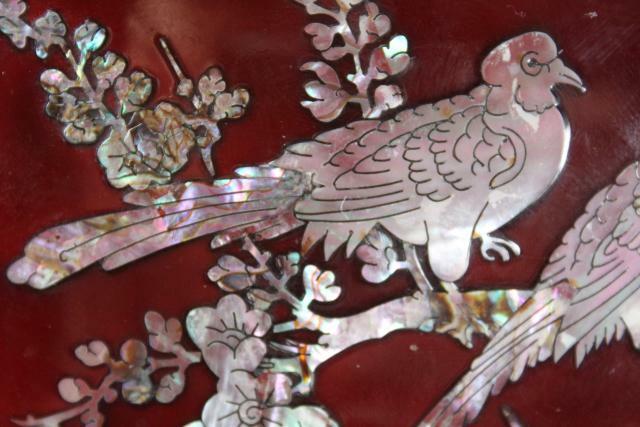 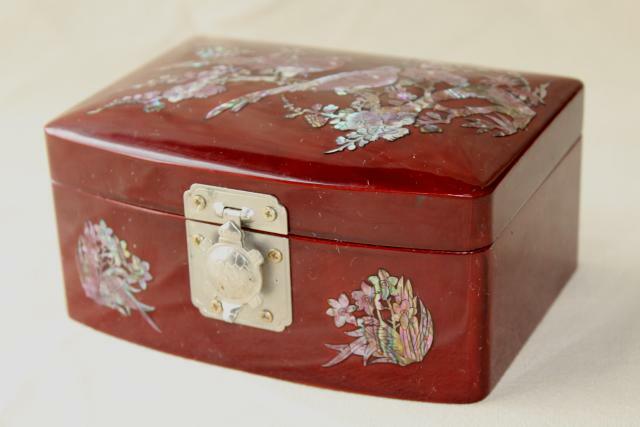 Mid-20th century vintage lacquered wood jewelry box with carved mother of pearl shell inlay design of birds and flowers, and a clasp shaped like a turtle! 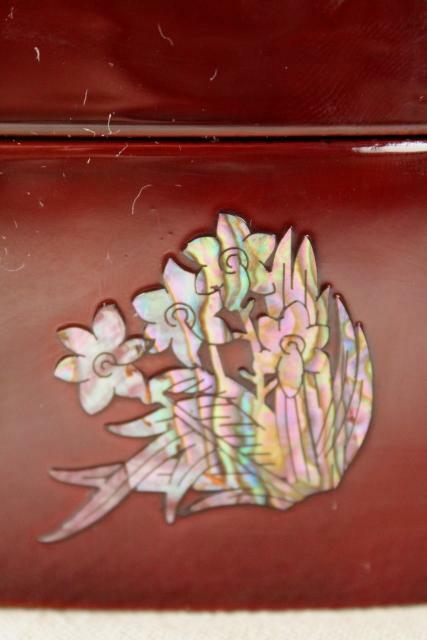 We'd guess this piece is Japanese (rather than Chinese? 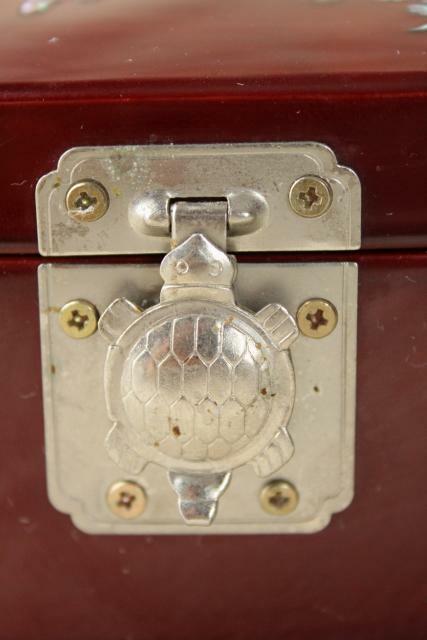 ), though it doesn't appear to be marked. 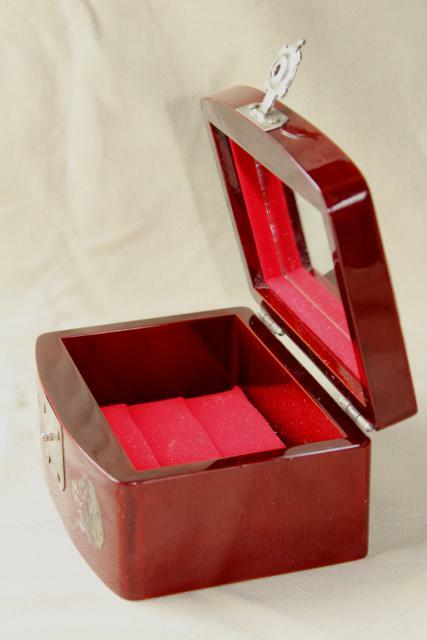 It's lined in velvet, with slots to hold rings or earrings. 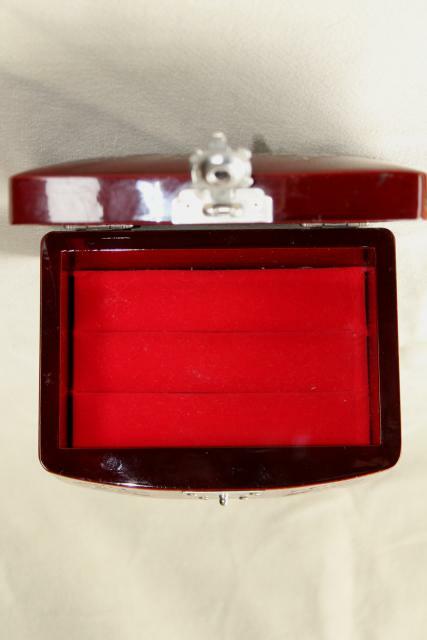 Measures about 6" x 4 1/2" x 3" overall. 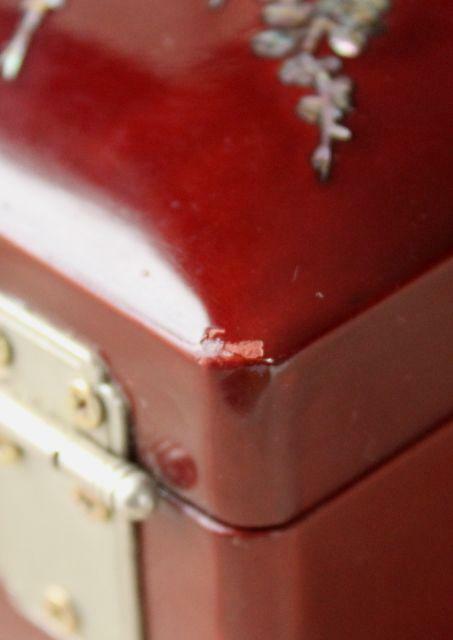 It's in good condition with just a little light scratching and a few tiny chips to the finish.